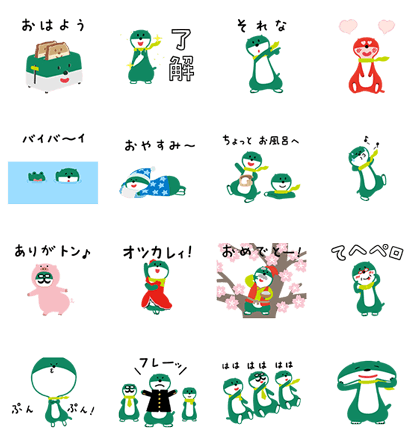 http://www.line-stickers.com/ – SMBC Character sticker Vol. 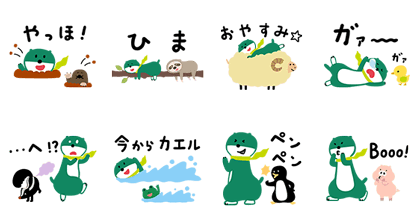 1, 2, 3 & 4 Line Sticker | SMBCʹs character Midosuke debuts in his own sticker set! Heʹll make your chats come alive! Mitsui Sumitomo Bankʹs popular Midosuke is here in his second sticker set! Cutify your chats with Midosuke! Friend Mitsui Sumitomoʹs official account to get the set. SMBC Character sticker Vol.3 sticker.Midosuke makes an appearance in SMBC ‘s 3 rd round of stickers! Midosuke ‘s animated,and he’s ready to brighten up your conversations! Mitsui Sumitomo Bankʹs Midosuke returns for a fourth round of stickers! 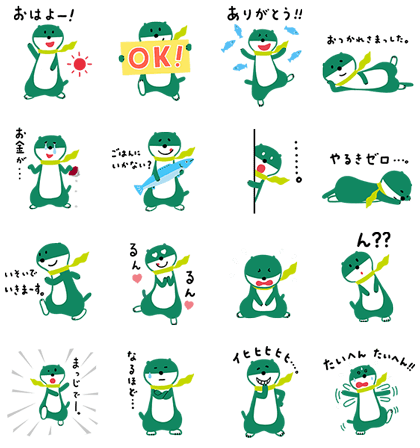 These animated stickers are sure to liven up your chats like no other! Indeed, you can take that to the bank! Friend SMBC’s official account to get this set for free! SMBC’s Midosuke is back for a fifth round of stickers in full animation! 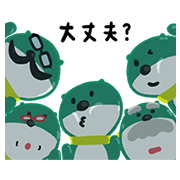 Use these stickers in your chats and see where this river otter will take you! Friend SMBC’s official account to get the set for free. The SMBC sticker contest is finished and the votes are in. 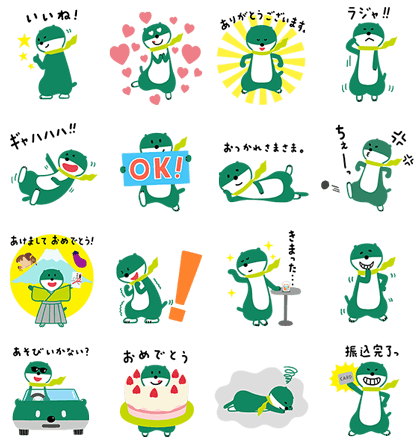 We’re happy to announce the winner, the Midosuke and Friends sticker set! 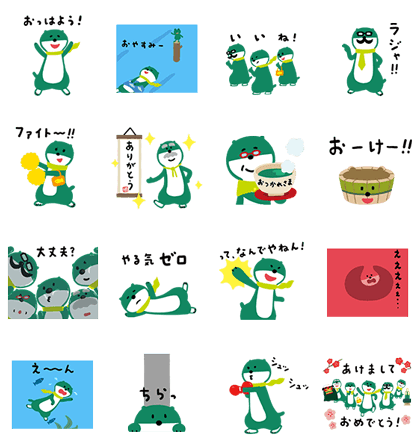 Get to know Midosuke’s friends and bring some excitement to your chats! Friend SMBC’s official account and answer a quick survey to get the set for free. 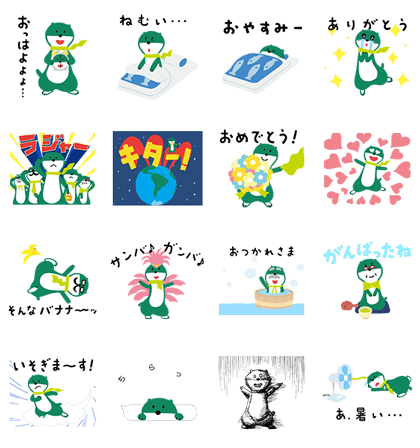 Mitsui Sumitomo Bank’s Midosuke returns for a sixth round of stickers. 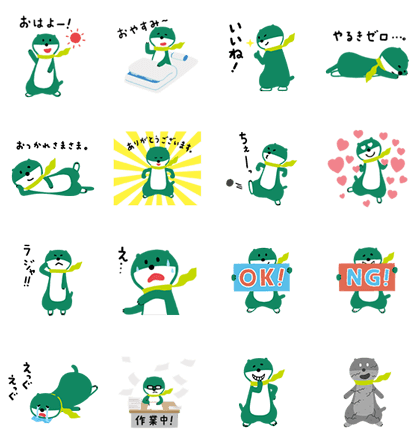 These animated stickers are sure to liven up your chats like no other. That’s something you can take to the bank! Friend SMBC’s official account to get the set for free. Available till March 20, 2017. FANTA Crew: It’s Fun Time!